The details of Labor’s carbon [dioxide] tax will be revealed on Sunday. I don’t intend to write in any detail on the matter, since, and forgive the scatological reference, it would be like examining the detail of a pile of horseshit – no matter how closely you examine and analyse it, it’s still horseshit. So don’t wait up for a post on how billions of dollars will be redistributed via some hideously complex bureaucracy – it won’t be there. Just yesterday, Julia Gillard quoted wildly inaccurate and exaggerated climate predictions in a desperate attempt to scare the public into supporting her carbon dioxide tax. Nonsensical claims of temperatures rising by up to 5 degrees by 2070, 1 metre sea level rises, climatic shifts of 2000km, giving Sydney the climate of Cairns. And then she has the gall to accuse the Opposition of running a scare campaign! If the Australian people don’t see through such shallow tactics, they deserve the fate that will befall them. The IPCC was established for the sole purpose of building a body of evidence to support a conclusion that had already been reached, namely that man-made emissions were causing dangerous global warming. And guess what? They found it. They found it by excluding papers that contradicted that conclusion, playing down natural influences on the climate, exaggerating the effect of CO2, drawing from a huge range of grey literature from environmental advocacy groups and then claiming a consensus of 2500 scientists which is actually nearer to 50. Based on those biased and skewed reports, successive governments in Australia (both Coalition and Labor) were determined to “tackle climate change”. It was the politically astute thing to do. We can play semantic games concerning whether she or Bob Brown leads the government, but the Australian people went to the polls in August 2010 on that basis, and Labor won a very narrow victory. In February 2011, however, in a brazen about-turn, forced up on her by her tawdry power-sharing deal with the Greens, she announced that a carbon [dioxide] tax would commence in mid-2012. There then followed the establishment of the Climate Commission and the Climate Committee, neither of which included any members who weren’t 100% behind the IPCC line (indeed you weren’t even allowed to participate if you were at all sceptical), to make the case for “pricing carbon”. There was also going to be a “people’s assembly” which was killed off quickly and painlessly when Labor saw the reaction to it. Unsurprisingly, those bodies have concluded that we need to price carbon and we will see the results of this sham on Sunday. Knock me down with a feather. Call me old fashioned, but scientific enquiry is about challenging the consensus to see if it stands up. But where is the challenge? There was barely any in the IPCC – a coterie of warmists all cosily peer-reviewing each other’s papers, making sure that anything remotely critical was never published (and conspiring against journals that did dare publish such papers – Climategate), and there was none in the Climate Commission and the Climate Committee. It’s a simple point. If the science is so strong and overwhelming, why this cowardly fear of exposing it to scrutiny? Surely the sceptics would be put in their place once and for all, and the public would see, transparently and obviously, that their arguments carried little weight. But they are afraid. Afraid of hearing anything that might raise doubts in their own blinkered view that man is dangerously changing the climate. Afraid of even engaging with those who challenge the consensus, going to great lengths to shut down debate, smear sceptics and abandon rights of free speech (Brisbane Broncos club, are you listening?). The measly 5% reduction of our already tiny 1.5% contribution to global emissions planned for 2020 will be swallowed up in a matter of weeks or months by China’s ever increasing number of coal-fired power stations. Yes, I know they are making the right noises about renewables, but coal is the cheapest form of energy, and unlike us, they aren’t dumb enough to force expensive, inefficient and unreliable renewables on their long-suffering population. China’s emissions will continue to rise in real terms, even though they may decrease as a percentage of GDP. But as their GDP is rising so fast, the point is irrelevant. And if our politicians seriously think that our action will shame China and India into torpedoing their plans for economic growth, then our leaders are even more deluded than we thought. Pointless political gestures are rarely as empty and damaging as this one. We can only hope that the Australian public have long enough memories to remember the deceit of this government, and vote them out in 2013. « Julia quotes "the science"
Socialist policies inevitably turn out as badly as you have indicated because they are created purely from an emotional need to change the ‘bad’ system. Result: widespread damage and misery. Julia’s only hope in getting the keys to The Lodge was to make a deal with Bob Brown at the expense of the Australian public. The Australian Labor Party is treating the Australian public with contempt by telling us a carbon dioxide tax is for OUR own good. We’ve been cheated, lied to and now they’re going to rob us and all in the name of political expediency! The Australian Labor Party is treating the Australian public with contempt by telling us a carbon dioxide tax is for OUR own good. She is treating us like children and I personally have had a GUT FULL. You’ll eat your pinko vegetables Australia, whether you want to or not. If you never posted ever again this would stand well as your final say on the matter. A perfect succinct summation of all that is rotten about the global warming scam. A pity that it won’t get an airing in the wider media. Fully agree, Simon C. As a comprehensive cleverly crafted composition, it neatly rounds up events that have seen the rise of the stupid and government by imbecile culminating on Sunday as one of the darkest days in infamy. I would urge Simon to submit his work as worthy of prominence on major blogs e.g. WUWT, Bolt, Tim Blair, JoNova etc. Agree 100% – excellent summary Simon. I think three cheers are in order … and so say all of us! 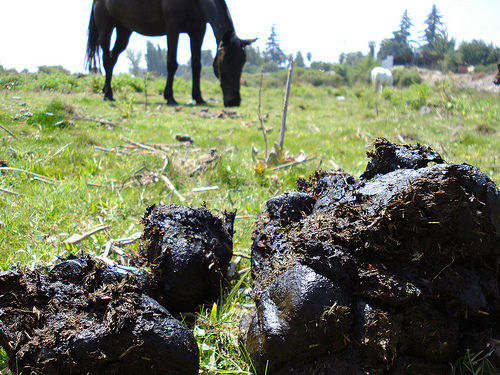 Great post Simon, I particularly like you comparison of the PM’s carbon tax with “the scatological reference,”. Some readers may doubt China’s consumption of coal, as PM Gillard has stated that China is replacing coal fired power stations (and leaves out the fact that they are being replaced with larger coal fired power stations ). that states China consumes 46% of the worlds total coal consumption. And for those that like pictures and graphs, some details from Winsway coal. Isn’t 5% (carbon reduction %) of 1.5% (Oz’s contribution to world’s man made CO2) = .075% reduction of CO2 due to the Gillard/Brown CO2Tax ? What has been described as a “fart in a hurricane”, for a none answer to a non problem. It is even more ridiculous: Total CO2 in the earth’s atmosphere is 0.038%. Manmade is 3% of that or 0.0011%. Australia emits 1.5% of the 0.0011% equals 0.0000171% and 5% cut in emissions will be? Yip you’ve guessed it; right on about f***all%. Economic suicide! Whatever, it’s still an infinitesimal amount of necessary trace gas.- about f***all%. Economic suicide! You’ve just said it all right there. Doubt is ignored, suppressed and dismissed rather than being used to strengthen the theory. It is unscientific. Are we actually seeing the “real” Julia personally? Is she moving towards her roots the political left? Was Bob Brown’s arrogant description of the Greens having the keys to the lodge and them replacing the Labor party something he has discussed with her? The camouflage of course would have to be her general move to right on asylum seeker policy, and her curious view on gay marriage for an athiest. Labor is falling so far with their primary vote could we see all the Labor left like Shorten, Wong, Combet, Roxon, etc etc Form the new greens? Some unions are aligning themselves behind the greens the give away is, I think Bob Brown is very childish and consequently is inclined to show too much exhuberance in matters applicable to the party. Look at the Press Club Afternoon Tea Party which could only be due to new senators but it appears to be more substantial. My thoughts maybe way off the mark but I have never seen current sentiment being so strong against Gillard that she appears to an out, a political alternative. Nevertheless with all this the time is now and this Carbon Shhhh Tax MUST be defeated and every point Simon has made above is correct and it is up to nobody to faulter even if there is some very nice sweeteners in this shambolick attempt to buy back the people who MUST also continue to demand an election NOW! Great summary Simon, this blog is becoming my daily must read after Bolt. It’s noteworthy that China also makes many billions out of west’s carbon phobia, so has much incentive to play along with a veneer of Action on Climate. Majority of Carbon offsets purchased in EU under their ETS, is from developing countries, mainly China and India, via certified emissions reductions (CERs). These are issued for not emitting GHG’s they might otherwise have emitted, through building hydroelectricity and industrial modernization – something we can safely assume they would have done anyway. This payment from west to east is estimated at 676 million euros per 6 months, or close to US$2 billion p.a. Then there is the renewables energy market created by the west’s taxpayer worth $100’s billions. I thought id better share this latest little article from Reuters, I would have posted it earlier but ive only just stopped laughing!!. She is after all a compulsive liar and will be punished accordingly along with the labour Party and its allies come the next election.